Ash-stand in dark brown coated metal and stainless steel. 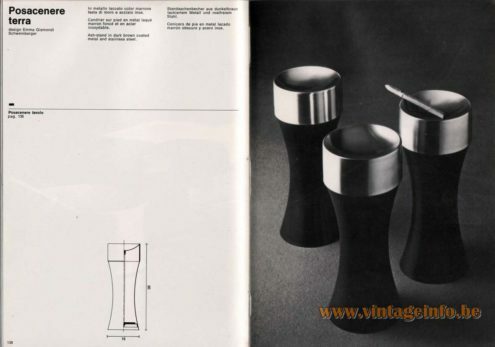 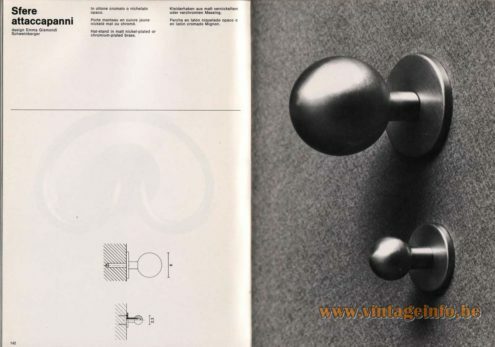 Hat-stand or door-handle in chromium-plated or matt nickel-plated brass. 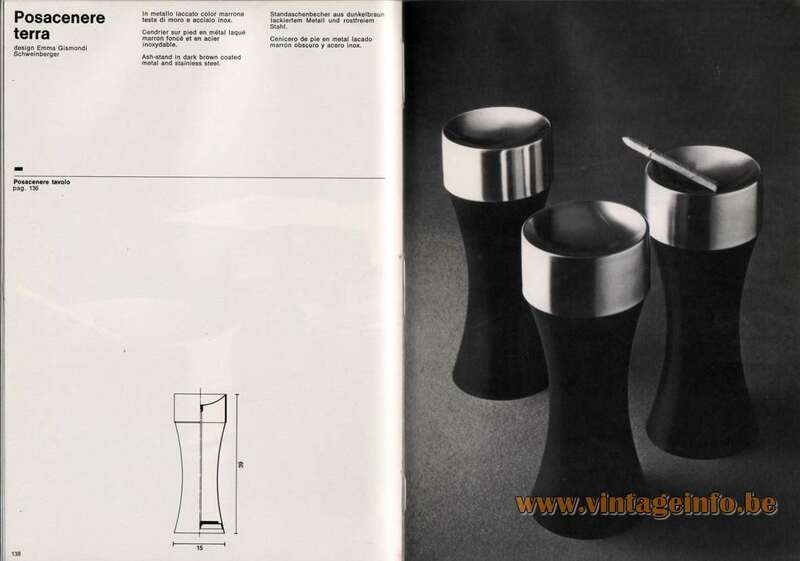 Hat-stand in matt nickel-plated or chromium-plated brass. 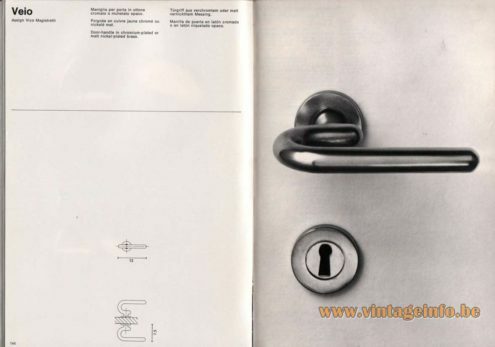 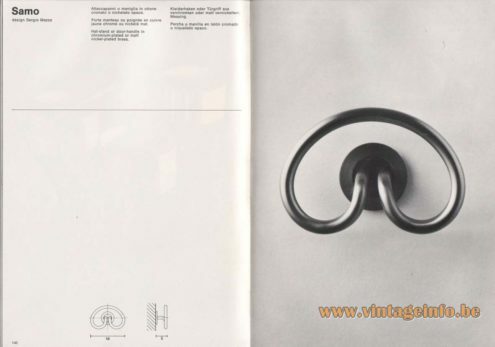 Door-handle in chromium-plated or matt nickel-plated brass.